and 'Allelujah' is our song." Now therefore, brethren, we urge you to praise God. That is what we are all telling each other when we say Alleluia. You say to your neighbor, “Praise the Lord!” and he says the same to you. We are all urging one another to praise the Lord, and all thereby doing what each of us urges the other to do. But see that your praise comes from your whole being; in other words, see that you praise God not with your lips and voices alone, but with your minds, your lives and all your actions." "Poor death, where is your sting? Poor hell, where is your triumph? Christ rises and the angels are wild with delight. Christ rises and life is set free. Christ rises and graves are emptied of dead. a beautiful fruit: the first fruit of those already gone. All glory be His, all success and power . . .
"Let us feel the joy of being Christian! 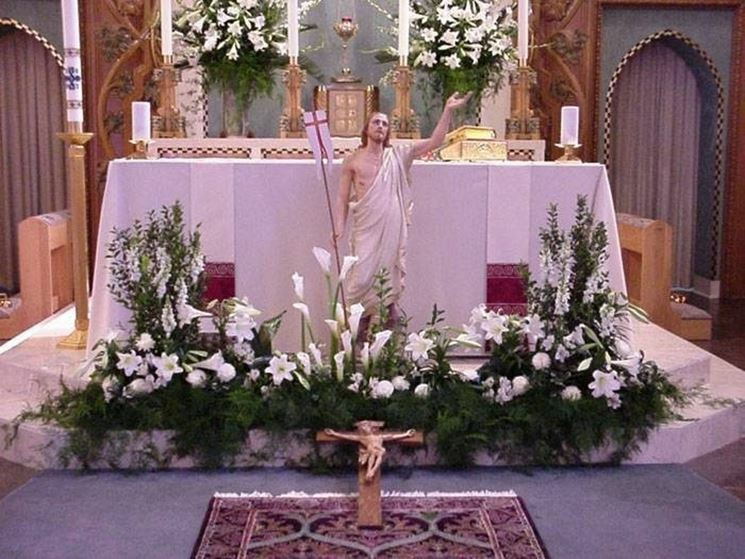 We believe in the Risen One who conquered evil and death! to take this joy and this light to all the places of our life! to be shared with others. Our testimony is precisely this." our Priest to the Altar. our Saviour to the world! "Christ is alive. May we let ourselves be renewed in Him.